Exciting changes happened to the master schedule at Homer Middle School. In an effort to offer students a variety of enrichment classes, every seventh and eighth grade student takes band or choir for thirty minutes each day. In addition to the core content classes, each student has an enrichment period to take one quarter of robotics, art, business, and health. 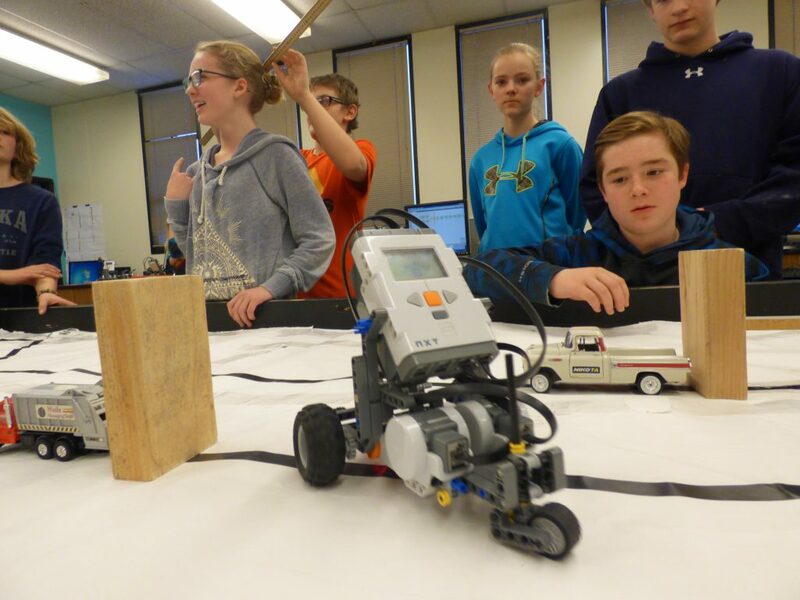 In the robotics class course, students are given an opportunity to use meaningful problem-based learning, a hands-on approach to math and science, integrate and apply knowledge of engineering, math, and science, and work in cooperative teams. 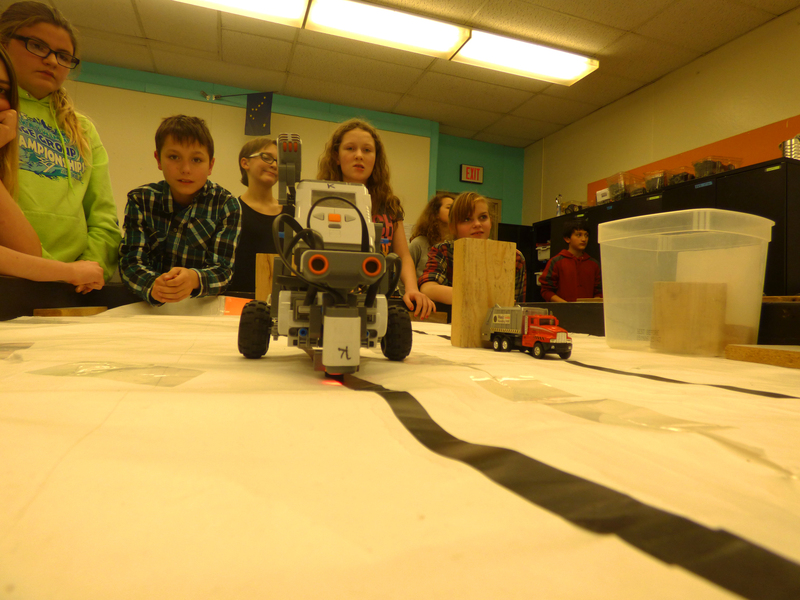 At the end of each quarter, students compete with one another in the Robot Challenge in which the robots are programmed by students to complete an obstacle course. 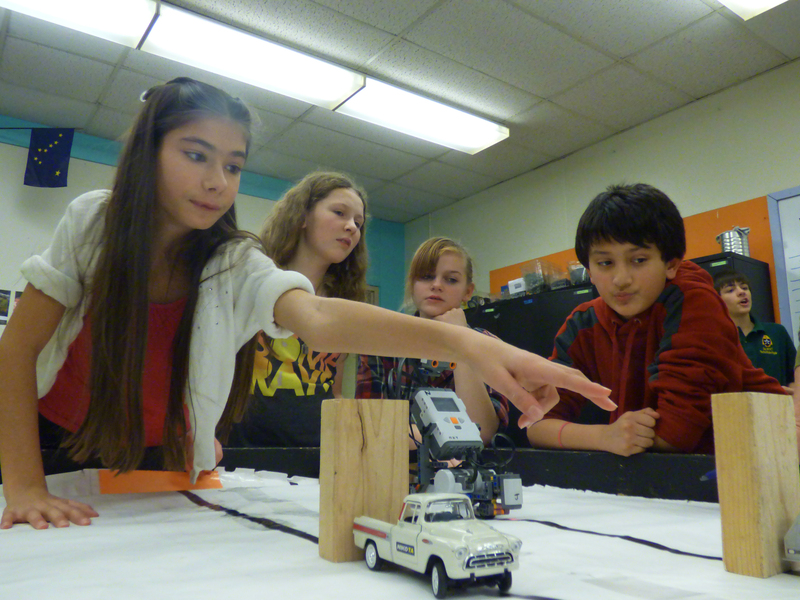 The challenge requires the robot to follow a black line, complete maneuvers and listen to voice commands. This entry was posted on January 4, 2016 at 6:19 pm. You can follow any responses to this entry through the RSS 2.0 feed. You can skip to the end and leave a response. Pinging is currently not allowed.